and easy access to some of the world’s best diving. This classic Belize stunner is ocean front, with a massive private pier and over an acre of land. Oozing Belizean charm and plenty of living space, this villa is well equipped to play host to your next island adventure. And with easy access to some of the best diving, snorkeling and fishing in the world, there will be no shortage of things to do. *These photos feature the home pre-renovation. We will be bringing this home up to Equity Estates’ standards, including a complete renovation of all bathrooms, kitchen and the addition of a luxury pool with swim up bar. Ambergris Caye, Belize—and we think it's quite fitting! Ambergris Caye is Belize’s most popular tourist destination, surrounded by stunning turquoise waters and dramatic vistas in every direction. Expats from all around the world flock to this little island for its ability to seamlessly combine a laid back beach lifestyle with upscale modern amenities. The town of San Pedro is where you’ll find plenty of shopping and dining options. And with some of the best diving, snorkeling and fishing in the world, you’ll never run out of things to do! If you’re a diving or snorkeling enthusiast, The Great Blue Hole is an absolute must. A giant submarine sinkhole, this UNESCO World Heritage Site is part of a barrier reef system rivaled only by Australia’s Great Barrier Reef. This is the best diving you’ll find in this hemisphere! The epicenter of the ancient Mayan world, Belize boasts more than a dozen incredible ruin sites today. Explore its pyramids, sacred temples and palaces and be transported back to a time when more than two million Mayans ruled the land. 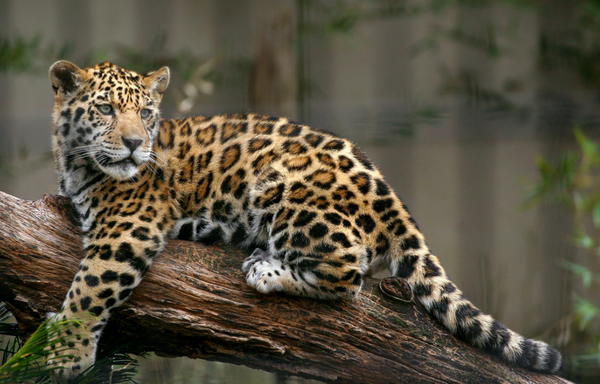 Belize’s Cockscomb National Park is the only jaguar preserve in the world. While it isn’t likely you’ll catch a glimpse of one of these incredibly stealthy animals in the wild, it’s well worth the thrill! You are, however, likely to find signs of recent jaguar activity like tracks and trails.